I am expanding my types of tourism as I see that I want to know about people in the world, specific persons. Maybe those people whom I admire. I went to Walden Pond to see where Henry David Thoreau dwelled on his experiment in Economy and living simple. I am sad or believe James Michener is dead; however, I may be able to track down some places. However, what happens in travel is we go and visit where dead people lived. Many times, it is some famous person�s burial site, or whatnot. However there are famous person that are not dead, that will have statues made, will have museums made about them; there is many people alive that can be found. Many important persons in the world live normal lives and I believe you could actually go and visit. I am sure many writers or researchers could be located. I am betting may former Nobel Prize winners could be found. There are people of interest alive, not dead and buried yet, I do not have to wait until they are dead to learn about them. One of the persons that amaze me is Bill Gates; he is the architect of a mental maze that overwhelms my ability to comprehend. 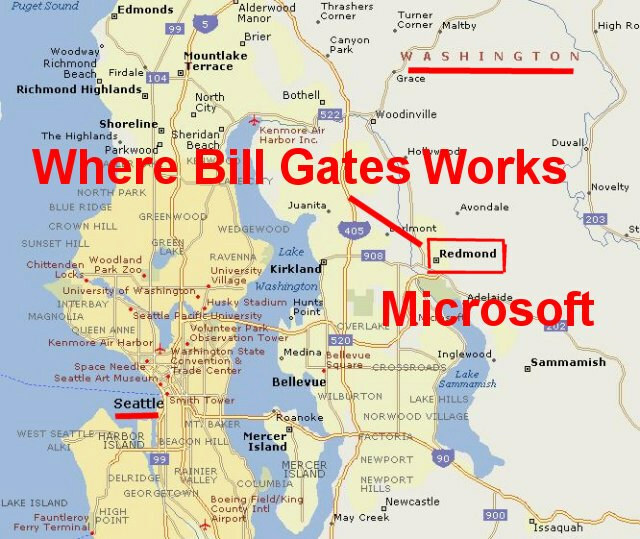 It would be fun to go to Redmond Washington, I think close to Seattle Washington, in the USA and try to go and visit Bill. Nothing to lose and everything to gain, which is one of my adopted mottoes. First I have to get it on the list of my places I want to visit, I start to muse, think, then when it come up on as the world turns travel trips of mine, I can mark it as a target. I rather go around the planet, sometimes east to west, and then other times west to east, not rich enough to go north or far south yet.